On 8 June 2004, the planet Venus moved across the face of the sun. This historic event – visible from most parts of the world – was rare: the last transit of Venus had happened 121 years before. 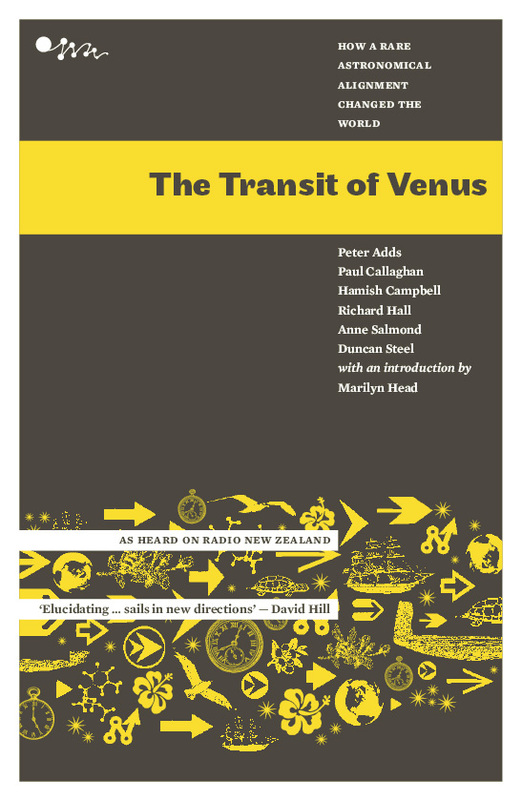 On 6 June 2012, Venus will again traverse the sun, providing an extraordinary and moving spectacle to people on Earth. In this book, scientists and historians write of the extraordinary impact these cosmic events have had on the exploration and colonisation of our own planet. SEARCH FOR THE HIDDEN CONTINENT Hamish Campbell – Zealandia splits from Gondwanaland, unique bird and plant life develops, and tectonic plates keep grinding. THE ROAD TO STONEHENGE Richard Hall – How astronomical knowledge that developed in antiquity laid the foundations of modern science and led to Cook’s observations of the transit of Venus – and more recently, the building of a modern Stonehenge. SETTING SAIL ON THE PACIFIC Peter Adds – The astonishing feats of Pacific peoples who navigated thousands of kilometres across open seas in small craft. SCIENCE IN COOK’S TIME Duncan Steel – Science in the age of enlightenment, and the quest to find the distance from the Earth to the sun. COOK’S FIRST VOYAGE Anne Salmond – The historic mission that led to the first encounters between Tahitians, Maori and Europeans. JOURNEYS IN TIME AND SPACE Paul Callaghan – What are the challenges now? The search for dark matter, new science, and other life and universes. Published with the support of the Charles Fleming Fund and the Astronomical Committee of the Royal Society of New Zealand.